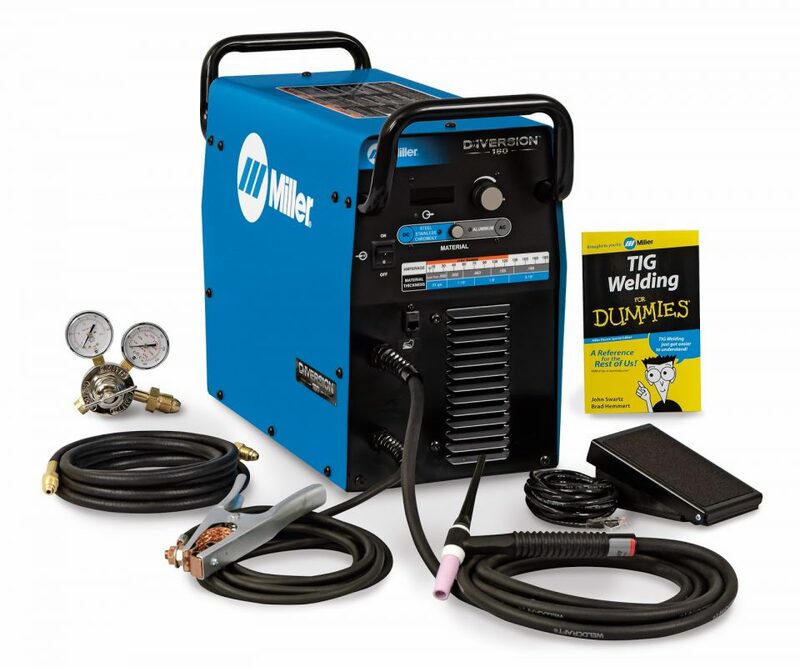 Win-A-Welder from Miller Electric at Born-Free 6!!! We are proud to have Miller Electric AKA Miller Welders as a returning sponsor of Born-Free! We’ve always been true blue to the Miller brand, for close to 10 years we’ve had working relationship with the company outside of Born-Free which has been very rewarding. Their products AND people make all the difference when put up against other welding brands!!! This year at Born-Free 6 we will be giving away a Miller Diversion 180 TIG and also a Miller Autoset 211 MIG. One will be given away Saturday June 28 and the other Sunday June 29, 2014, both will be consolation prizes after the bike giveaway. So even if you don’t go home with a motorcycle you could still win big!!! And if you don’t win Saturday, you could win Sunday!!! Click the links above for details on either machine. To be entered, you need to buy one or more Born-Free 6 posters w/free ticket. Get them online from Lowbrow Customs by clicking HERE. These welders are both high quality machines and can basically do most anything you would need when building or fixing your motorcycle! Don’t miss out! This entry was posted in Uncategorized and tagged bf6, Born free, Born free show, mig welder, miller autoset 211, miller diversion 180, miller electric, miller welders, tig welder, win a welder.